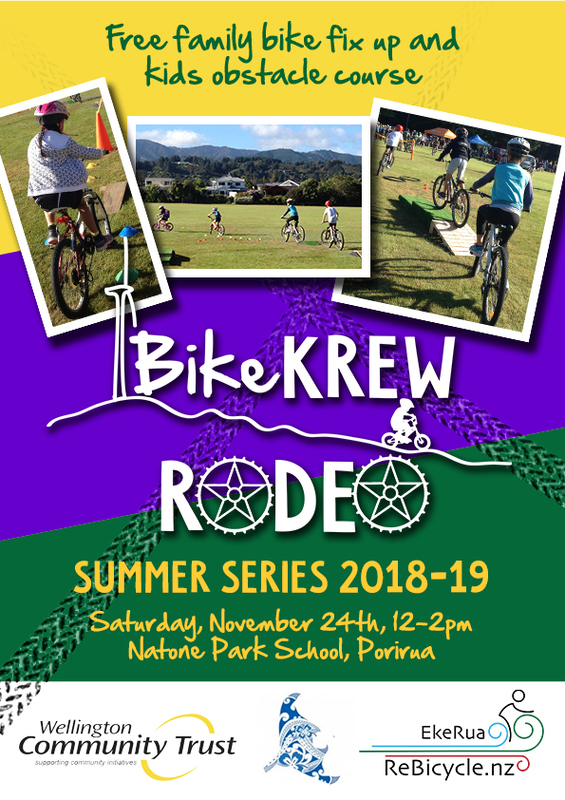 The Bike KREW Rodeo is back at Kahurangi School for Neighbours Day in association with ReBicycle Wellington and supported by the Wellington City Council Communities on Bikes Fund, Nikau Foundation, The Tindall Foundation and Thankyou Charitable Trust. Saturday 24th March, 1-3pm at Kahurangi School, Strathmore Ave, Strathmore Park. Bikes and equipment for children from ages 2-10ish will be provided, plus trained volunteer instructors. All kids with all levels of ability or difficulty can take part. 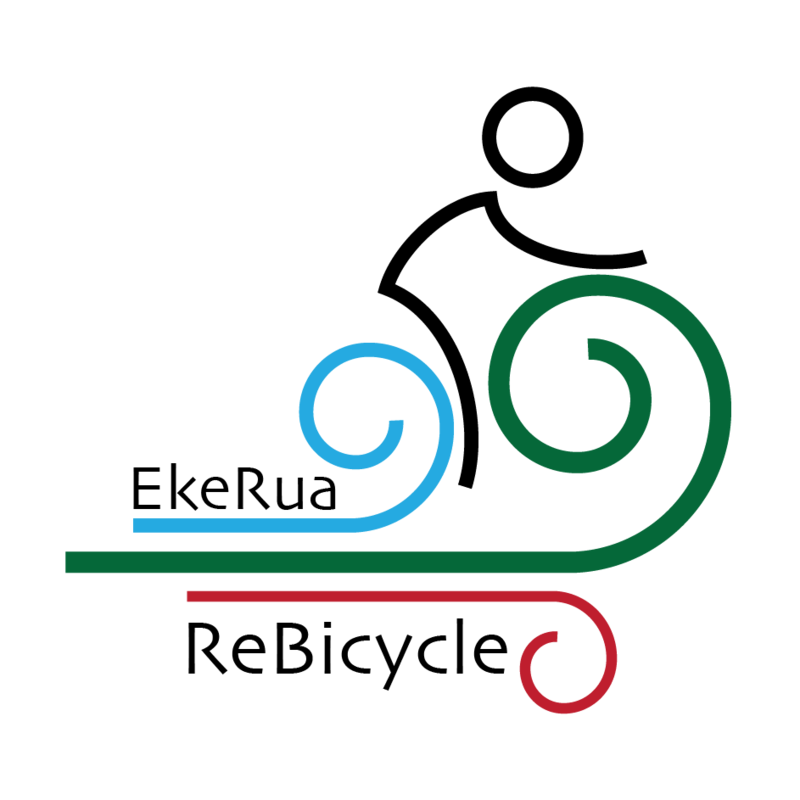 For Neighbours Day, Strathmore Park Community Centre are holding a BBQ from 11am-1pm, then ReBicycle will be bringing back the Bike KREW Rodeo to Kahurangi School from 1-3pm. After 3pm you can head on up to Raukawa Centre for a picnic until 5ish. No rain day planned, but we’ll cancel by about 10am on Saturday if it’s too wet or windy. Check Facebook for updates. The Bike KREW Rodeo is back as part of Celebrate Newtown – Newtown Festival in association with ReBicycle Wellington and supported by the Wellington City Council Communities on Bikes Fund, Nikau Foundation, The Tindall Foundation and Thankyou Charitable Trust. Sunday March 11th, 1.30-4.30pm at Carrara Park, Regent St, Newtown. Rain day 18th March. We’ll cancel by about 10am on Sunday if it’s too wet or windy. Since inception in July 2016, we’ve held 15 events and volunteers have contributed about 910 hours of their time! 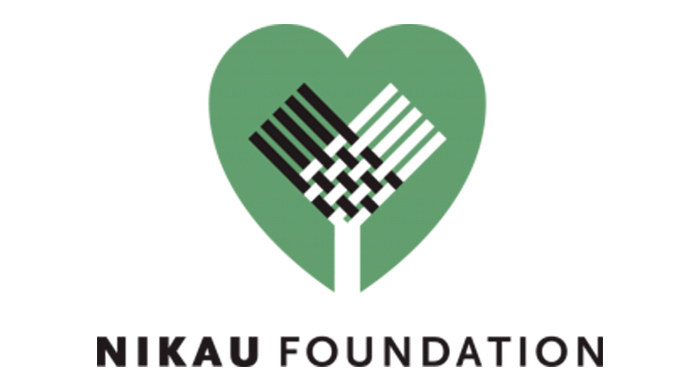 We couldn’t do it without the support of our sponsors and the following grants: Nikau Foundation, The Tindall Foundation, Thankyou Charitable Trust, Wellington City Council Communities on Bikes fund, and donations from Switched on Bikes and Tranzit Coachlines & Tours as well as some awesome private donors. We’re also super grateful for the ongoing support from the following retailers and organisations: The Mechanical Tempest, Newtown Festival, Sustainability Trust, Burkes Cycles New Zealand, Bicycle Junction, Mud Cycles, Iride Store, Avantiplus, and Capital Cycles. Thanks also to our coordinator, Tessa, who does a stellar job keeping track of orders, bikes and budgets, and is also an amazing cycle skills instructor and pretty handy with a wrench. Her partner, Stephen, for putting up with all the bikes and deliveries, our mechanics Steph and Phoebe from Wenches With Wrenches and Dave in the Hutt, and finally our very cool trustees, Leah, James and Mike all deserve our thanks as well. Plus all of you awesome people who keep turning up to our fix ups and bust ups. 2018 is going to be a busy year for us and we’re excited about collaborations planned with Strathmore Park & Raukawa Community Centres, Changemakers Refugee Forum, and others. As well as building and beautifying our new home in Newtown, we’ll be having regular open evenings and weekend learn to ride sessions in the new year, so keep a look out for those.